You must make reservations at least 5 minutes in advance of the time at The Red Coach Inn. Parking is available on Buffalo Avenue as well as in the hotel parking lots behind the building. Public transportation stops are in walking distance from the hotel. 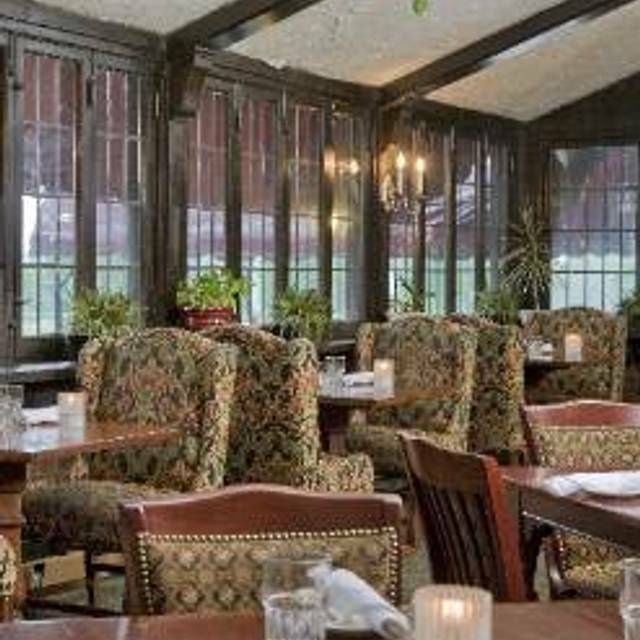 The Red Coach Inn is a fine dining restaurant located directly across from the beautiful upper rapids in Niagara Falls, New York. We offer deliciously prepared American fare in a comfortable and relaxed environment. Enjoy the view in our Rapids room, which overlooks the majestic upper rapids, or relax in our main dining room with our large open hearth fireplace. Our professional and dedicated staff will see to your every need to ensure you have an experience you will remember for years to come. We have dined at the Red Coach many times however this particular experience left a lasting impression. The service was in a word, terrible. The waiter could best be described as crude and dismissive in the true sense of these words. We've never had such an unlikable person who mostly ignored us in favor of shooting the breeze with another couple at the other end of the dining room. The food was good as it usually is and the atmosphere the same. However, it will be some time before we go again. Great downtown spot near the American falls. In summer you can dine on the porch, which is sweet. The building is old and historic, a sweet venue. Food was very good; the wait staff always seems friendly, and it's moderately priced. We had a wonderful late lunch here. It was blizzarding and the restaurant was a warm cozy haven. I had a fish fry which was filling and delicious and my husband had a tuna melt which he devoured. You can sit in the porch area which gives you a beautiful view of the Falls as well. The staff were friendly and accommodating. A great experience and we will be coming back! We choose the Red Coach for special occasions. Great food & ambience-at very reasonable prices. The ambience in the Red Coach Inn is nice. 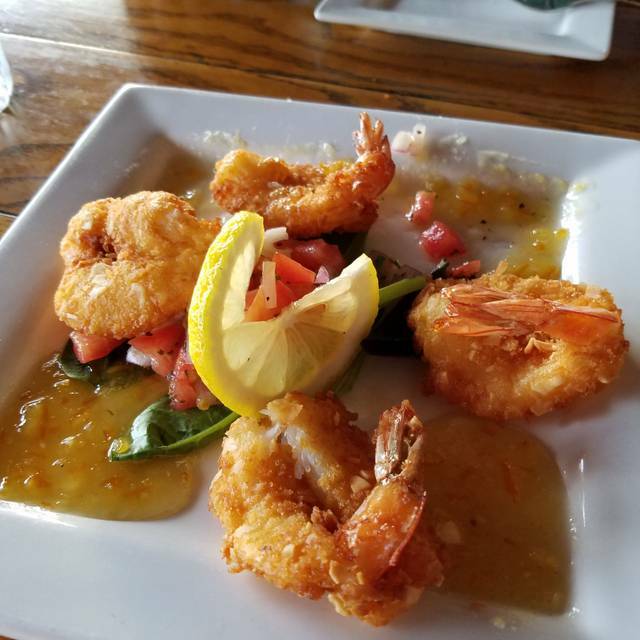 The service was “okay.” The Mediterranean plate was a VERY yummy appetizer. All of our meals had extremely bold flavors - very rich or very spicy, etc. so if you’re looking for subtlety, this is not your restaurant. The feta and shrimp pasta, in particular, was so spicy with red pepper flakes that it was nearly inedible. Overall, it was a tasty meal, though. We enjoy the place very much. However, on this occasion the server needed more training on steps of service. Great ambiance and comfort food. The service was quick! Celebrating our 10 year anniversary! Shawn was our waiter! He was great! Super friendly and helpful! 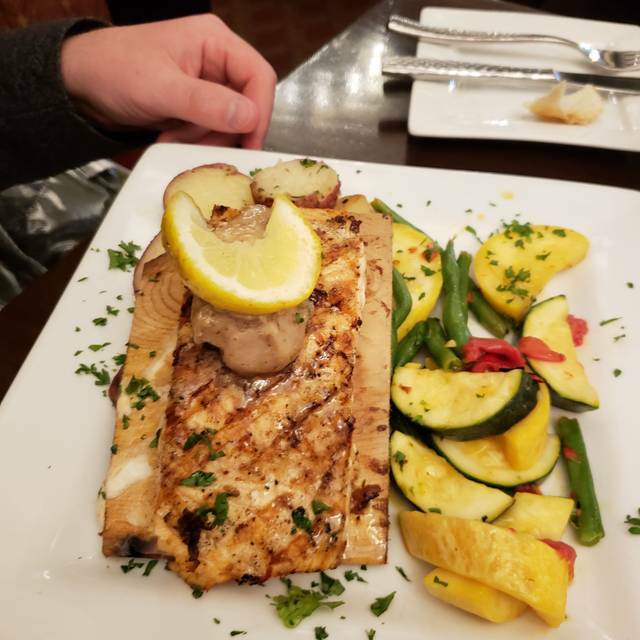 The cedar plank salmon was so delicious. My husband enjoyed his duck. Of course the desserts were amazing. Excellent food, service and ambiance. Wonderful for special occasions. The restaurant is wonderful. The food superb. The staff is always attentive and polite. The food was great. The staff was very friendly and attentive. Our waiter was very rude and unfriendly. I didn’t like 2/3 of my meal and he did nothing about it. Sat by the window looking out at the rapids. Beautiful day and we enjoyed our visit. Wonderful service! Went to Dinner on Friday and Saturday. The food was outstanding Friday night I had Duck and on Saturday I had Scallops Florentine both were outstanding and cooked perfectly. I will say, the food was good and the portion size was good for the price. Ate breakfast and dinner there and it was 2 totally different experiences. Dinner was perfect. Service, food, atmosphere. Loved it. Breakfast on the other hand, the food was good, the Service was something else to be desired. The waitress pretty much dumped the coffee in my cup and would not be bothered other than that. We were very excited to have dinner here. The ambiance and service were practically unmatched. The food, however, was another story. Generous portions but everything was seasoned either too heavy or nothing at all. Hate to say it but we definitely would not go back. 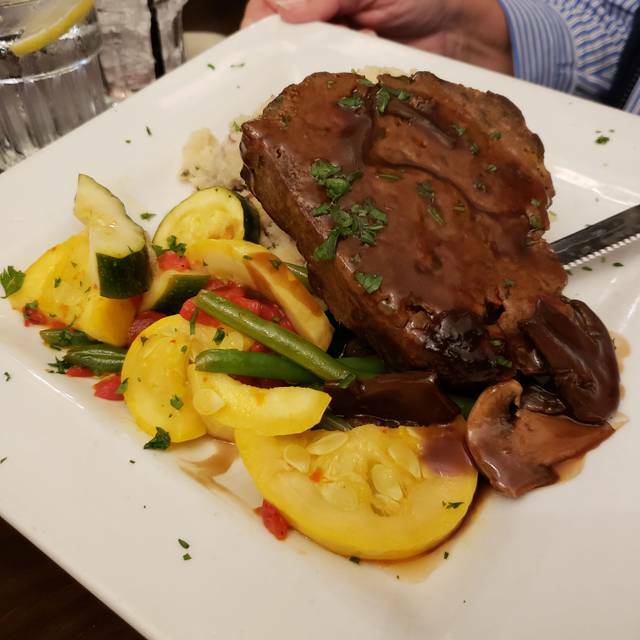 We visited the Red Coach Inn restaurant on 2/9/19 and it was FABULOUS. The food was all delicious. I had the chicken piccata- highly recommend. My dad said the scallops were the best he's ever had. Our server was great as well. I will definitely be back! Old charm, fantastic service, great timing with fine quality food. I will be returning! I typically never take the time to submit reviews, but I felt compelled to after our negative experience. The service was extremely poor. When we arrived, it took forever for the hostess to seat us. There were only 3 parties in line. When we sat, it took unusually long for our drink order and then even longer to actually get our drinks. It wasn’t even that busy, especially for the bartender. The waitress explained to us that there would be no bread for the table because of issues with their cooler. I’m not sure how that is even possible. If they lost their butter due to cooler issue, they should have went to the store and bought some for the evening. As our meal went on, it took forever for our drinks to be refilled. Finally our meal wasn’t that great. Two of our steaks were over cooked instead of medium. The other steak was undercooked and wasn’t butterflied as requested. This was a very disappointing experience. On the plus side, the ambience is very nice. A local restaurant built in 1923 (?) replicated to 18th Century English decor. Beautiful. Real wood-burning fireplace kept us cozy on a winter's day. The Niagara room overlooks the Niagara rapids, nice view. Our server was very attentive. It was my husband's birthday, and our server, Joe overheard and came over to tell him to save room for the dessert- my husband said 'how about a shot of bourbon instead?" Joe said he'd see what he could do. When came back with our drinks he also brought him a shot and said it was on him! So nice. My husband had the strip steak which was done to perfection, came with mashed potatoes and asparagus. I had the swordfish, spinach risotto and broccoli. All was most delicious. I would definitely not hesitate to go back. Not too pricey either. The food and wine were AMAZING!!!!! My wife and I went there to celebrate her 40th birthday for a quick lunch. It was so good we cancelled our reservations for another restaurant we had and went back for dinner. 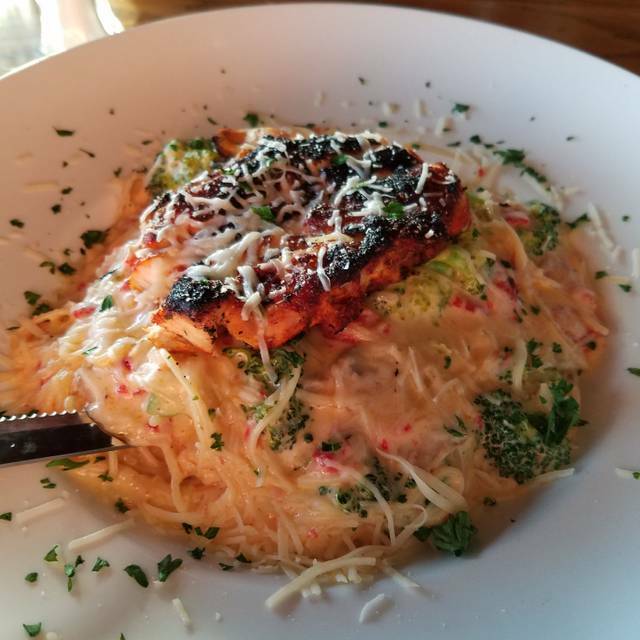 Both meals were delicious and the servers were super friendly and helpful. Great atmosphere and great service. We will definitely be back. Service, food, and atmosphere were all wonderful! We went on a Thursday night in January and were able to park right by the front door. Being off season it was very mellow and we were even able to pick where we wanted to be seated. The fireplace was crackling and warm. We enjoyed everything about our meal and we look forward to returning to explore more of the menu. Classic spot. Great for families and couples alike. Very welcoming. We dined with another couple to celebrate her 60th Birthday. Everything was nice except they ran out of cheesecake which was our favorite. Came to Niagara Falls for a weekend getaway and most certainly enjoyed the dinner experience at The Red Coach Inn. Honestly if I hadn't had hotel reservations we probably would have stayed here. A definite spot to visit if you're ever in the area. Everything was perfect for our Intimate Christmas celebration. 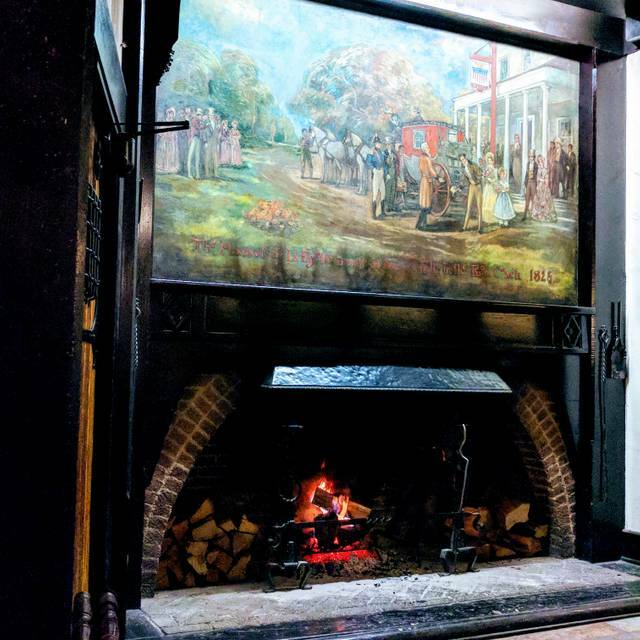 Loved the fireplace. The building looked so beautiful outside and the ambience inside the restaurant was simply amazing. The Haunted history was very intriguing and added to our interest in visiting the Inn. The menu offered a vast selection. We were a party of 5 and every single entrée we ordered was utterly delicious. Service that was provided was extremely gracious & professional. I would recommend this restaurant to anyone who plans to visit Buffalo. It's my favorite restaurant for a number of reasons; the wide selection of delicious food, friendly, professional staff, the ambiance is lovely for casual or dressy occasions, it's quiet and serene for conversation, it has an enormous wood burning fireplace for cozy winter nights, and from the front dining room, an exquisite view of the rapids. Excellent dinner as always. Server Alaina was wonderful- very pleasant! My surf and turf was yummy! Pumpkin cheescake amazing! Beautiful setting with a roaring fireplace. We will be back! Your Canadian friends! I had family in from out of town. We had such an enjoyable evening. Good was very good, as was the service. The building has always been lovely and continues to have the beautiful ambiance I always remember. Both the food and the service when pacable. I will absolutely return. We had a wonderful waiter, the food was delicious and the fireplace...what else is there to say!!! My wife and I were in town for the day on our way to Toronto for the weekend. We had a wonderful experience at the Red Coach Inn, the food was fantastic, the service impeccable, and the ambiance perfect. 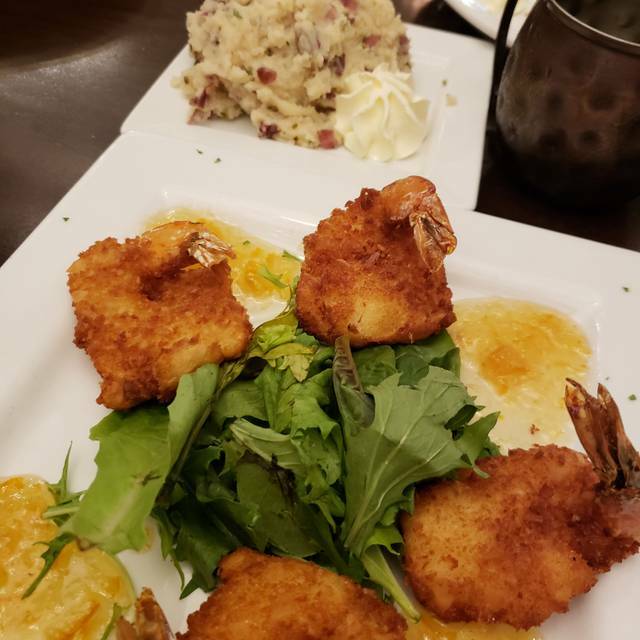 The Seafood Platter was very good, fresh, and light. The Chicken Teriyaki was perfect. We will definitely return. Very charming, quiet place perfect for a date night! We had the salmon and swordfish. 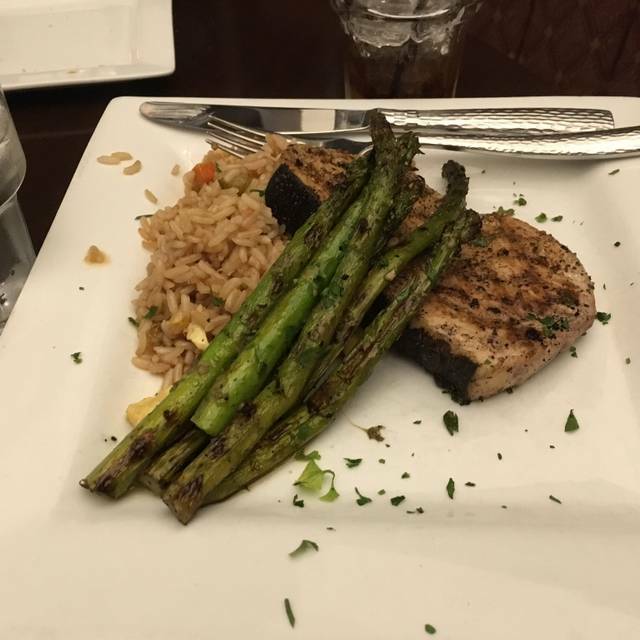 The salmon was absolutely fantastic and the swordfish was good. 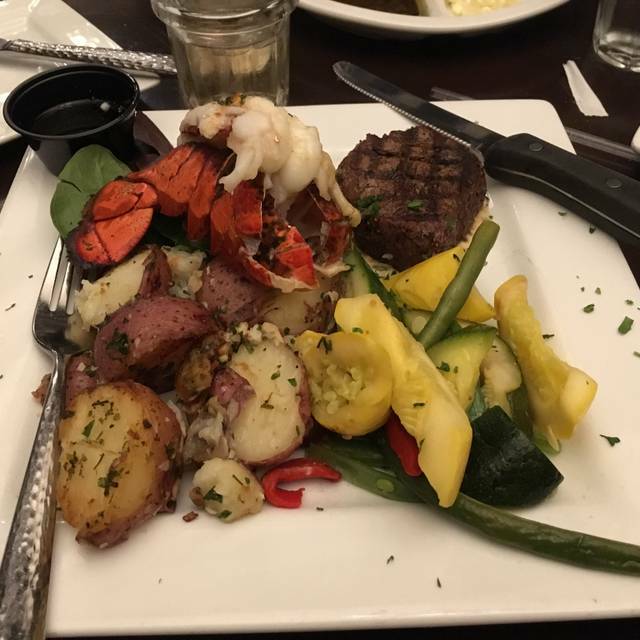 Portions are very large and the prices were in line with what you would expect for the quality and atmosphere. This was an excellent meal. I am not normally a vegetarian option person, but the stuffed mushroom cap with artichoke, tomato, onions, peppers, spinach, feta and mozzarella cheese. I also had the tomato bisque soup. Both were fantastic and I highly recommend this restaurant.